The General Data Protection Regulation is groundbreaking regulation passed by the European Union on May 25, 2018. The measure seeks to protect the data and privacy of all individuals in the European Union and surrounding European Economic Area. The regulation also worked to control the passing of data outside of these areas. Below, you’ll find everything that you need to know about the GDPR. The GDPR replaces the previous data initiative that the EU had in place, the Data Protection Directive 95/46/EC. The GDPR was passed primarily to help standardize the data privacy laws across Europe and provide data privacy to all European citizens. Perhaps most essential is the fact that the bill sought to reshape how financial institutions and businesses in Europe approached data privacy. The broad legislation impacts companies that may not have physical presences in the European Union. For instance, a United States company that collects data over the internet via a web presence in the EU is subject to the regulations. Ultimately, the measure controls how you can financial institutions can collect data about their customers. It defines what data financial institutions can obtain and, more importantly, what data they can store. For instance, to remain compliant with GDPR, companies must now ensure that they meet specific guidelines when collecting personal data. They must also ensure that those who manage the data will protect it from exploitation. Failure to do so will result in stiff penalties, up to 4 percent of gross revenues. The measures should help protect consumers in the rapidly-developing technological world. There is significantly more legal liability placed onto those organizations responsible for a breach. How Will Brexit Impact GDPR? If you followed the timeline of when the GDPR was passed, you'd see that Brexit occurred shortly after that. This caused financial panic, as many people wondered if the United Kingdom would not be subject to the same data regulations. Considering that the goal of the GDPR was to create universal rules that applied to all European nations, Brexit could have caused the entire measure to crumble. However, Britain has since announced that they will still abide by the GDPR, even after Brexit has taken place. Officials announced that GDPR could still work for the benefit of the people of Britain. So, if you’re a financial institution in Great Britain, you’ll still likely need to abide by GDPR. 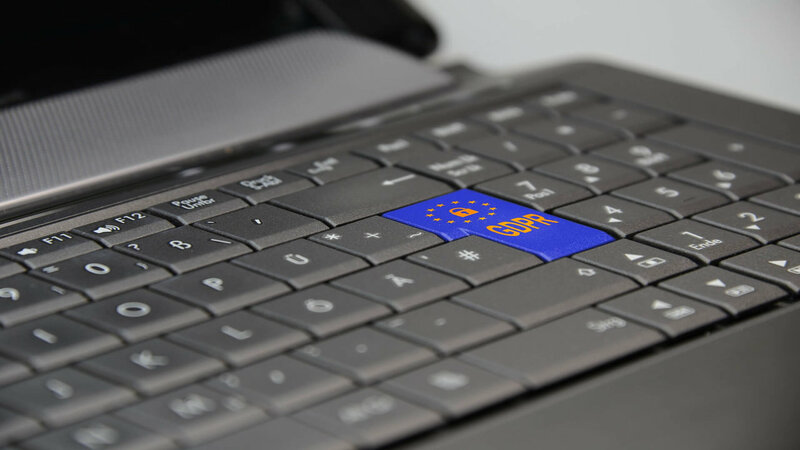 How Will GDPR Effect Small Businesses? GDPR will likely impact all businesses in some way. If you’re a small business owner in the European Union, there are probably a few things that you’re going to want to consider. First and foremost, you’ll have to be upfront with our customers. The first thing you’ll need to do is collect their consent to receive emails from you. You’ll also want to seek legal counsel to review your terms of services and privacy policies, ensuring that these meet the new regulations. You’ll also want to come up with a plan to determine which data you’ll collect and how you’ll safeguard data that is stored. Small businesses will likely want to save as little data as possible. Housing large data stores could quickly become expensive. Additionally, companies would be in serious jeopardy if there was a security breach. It may make more sense for small businesses to invest in real-time facial recognition technology instead of investing in secure data solutions. Doing so ensure that companies are still compliant with Know Your Customer regulations. Fortunately, KYC technology is developing rapidly. For instance, dual-lens smartphone cameras make it possible for small business owners to verify a government-issued hologram identity in real-time without having to collect or store any data. Whatever plan small business owners come up with, they’ll want to communicate this to their customers. They should elaborate on their reasoning for storing the data and how they will keep it safe. Transparency will go a long way toward building customer trust. Lastly, small business owners will want to have a system in place in case there ever was a security breach. Owners should know who they must notify in case of a suspected breach and what they will do in the hours following its discovery. Having these measures in place will go a long way toward ensuring that small businesses are compliant with GDPR. GDPR is beneficial in its ability to help protect against data breaches. Companies who may not have paid much attention to data collection and security in the past are now forced to do so under European law. However, studies have recently shown that GDPR could have a host of unintended benefits for small business owners, such as sparking innovation and attracting investors. For instance, Cisco’s data privacy benchmark study found that 97 percent of companies cited at least one indirect benefit coming about thanks to GDPR. More than 40 percent of firms surveyed said that having the proper data controls in place made it easier for their research and development teams to be more creative. 40 percent of business owners also said that they felt GDPR gave them an advantage over competitors, even though their competitors must also abide by the regulations. They noted that the data controls put forth by GDPR allowed their company to achieve operational efficiency because the data was already appropriately cataloged. Lastly, more than 35 percent of business owners said that they saw sales increase because they were able to ease customer’s concerns about privacy. These sales were pre-existing but had not yet taken place because of the customer’s privacy concerns.